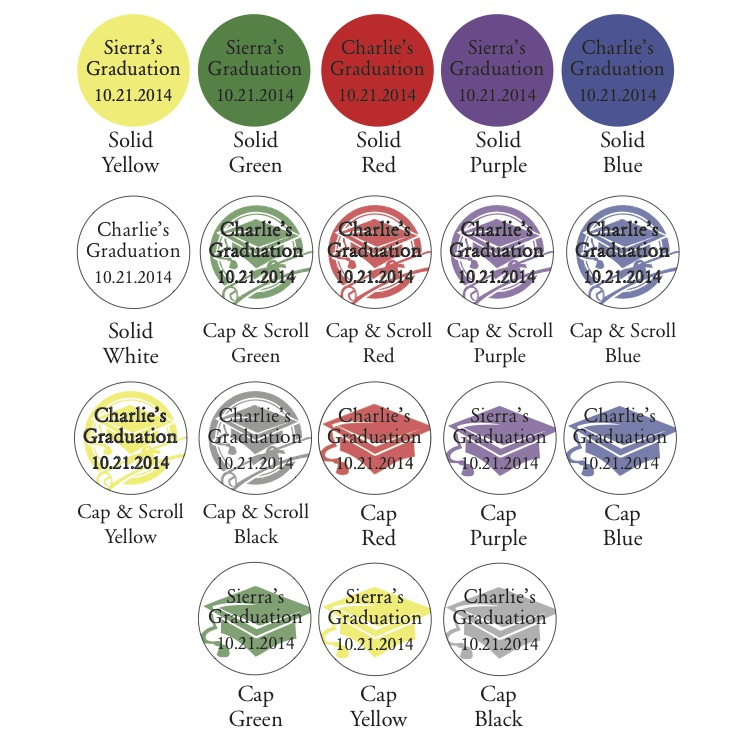 You are looking for practical personalized graduation favors and here they are! 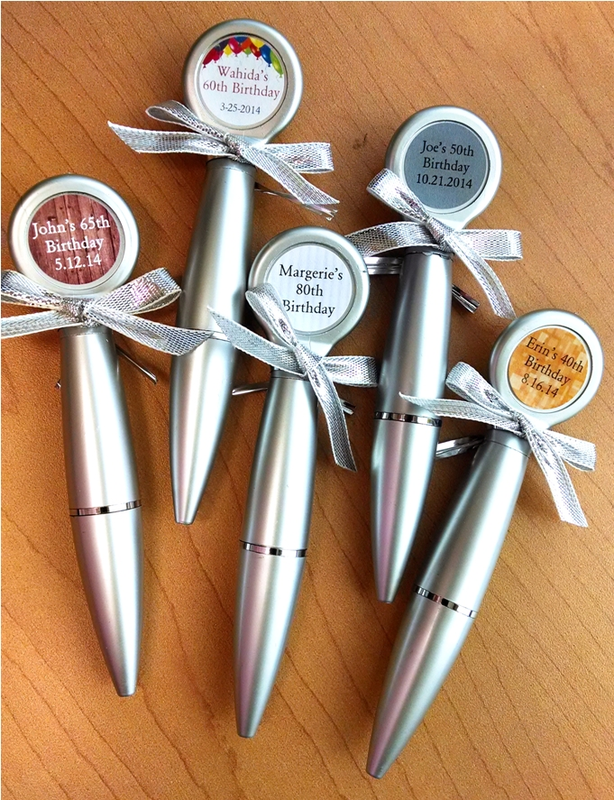 Our magnet pens an ideal gift for the people joining you to celebrate this milestone event. 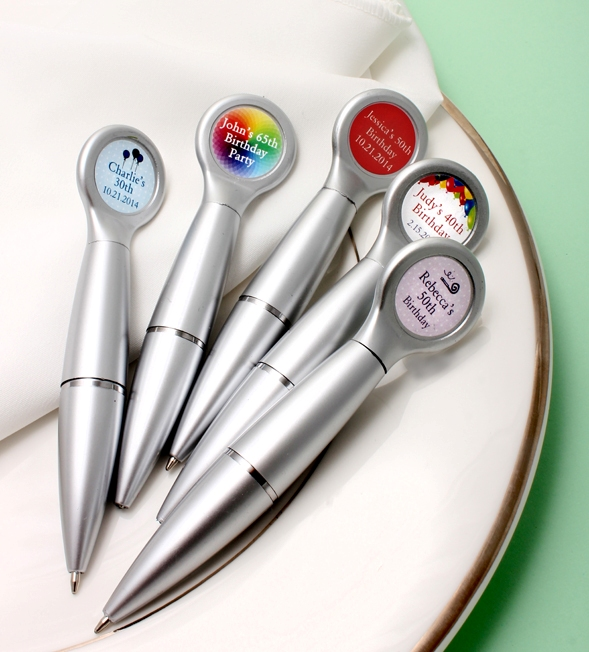 The personalized pen favors are very popular with our customers. 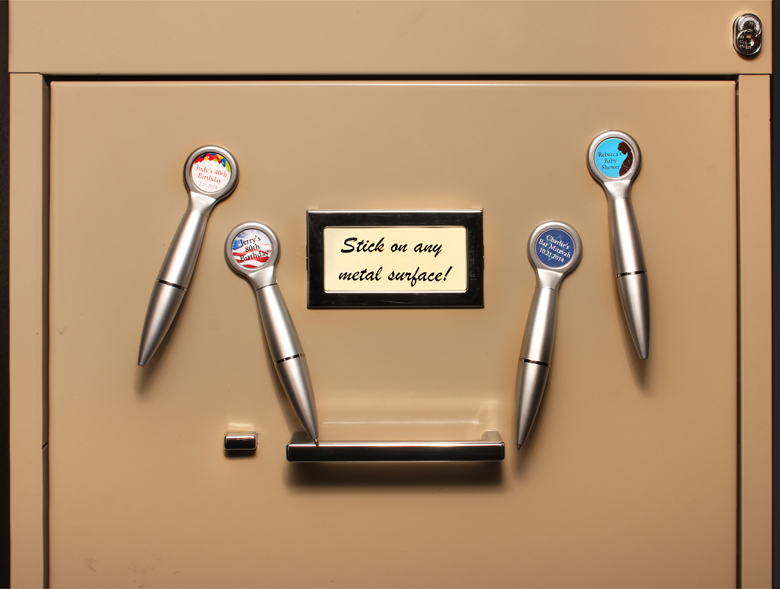 A magnetic pen usefully placed on the refrigerator is a great way to jot down notes and reminders in black ink. 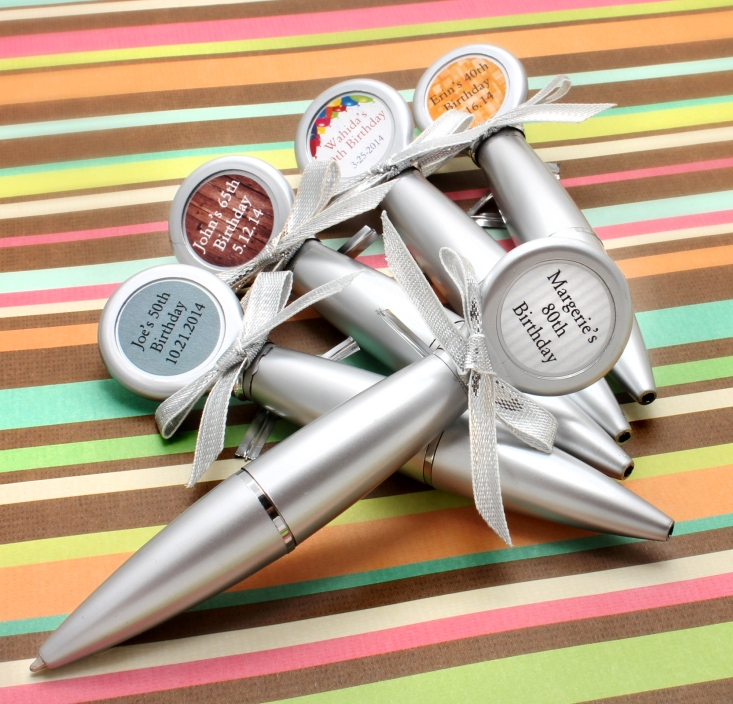 The 4 1/2 inch twist action pens come with a custom label. They will be tied with a silver metallic tie and individually packaged in a clear cellophane bag.